If you follow me on Facebook or Twitter, you’ve seen me post several pictures of my wild and crazy Kombucha bottling experiences. I started on this wild ride in October and have been going strong ever since. What in the world am I talking about? 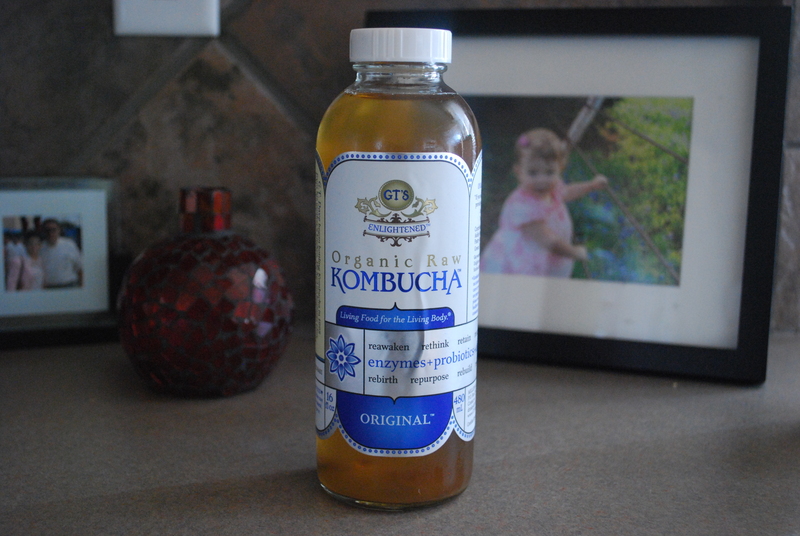 Have you ever heard of this crazy fermented tea drink, called Kombucha (kom-boocha)? No? Well let me enlighten you. I don’t know all about that, but I do know that I love it, and I give it to my 2-year-old every day. The kid practically asks for ‘booch just about every time I open the fridge. Like I mentioned in this post, it cured Emma’s week-long bout of diarrhea, along with some coconut water, so this mama’s a fan. It’s loaded with probiotics, fiber, omega-3s, and antioxidants! What’s not to love? 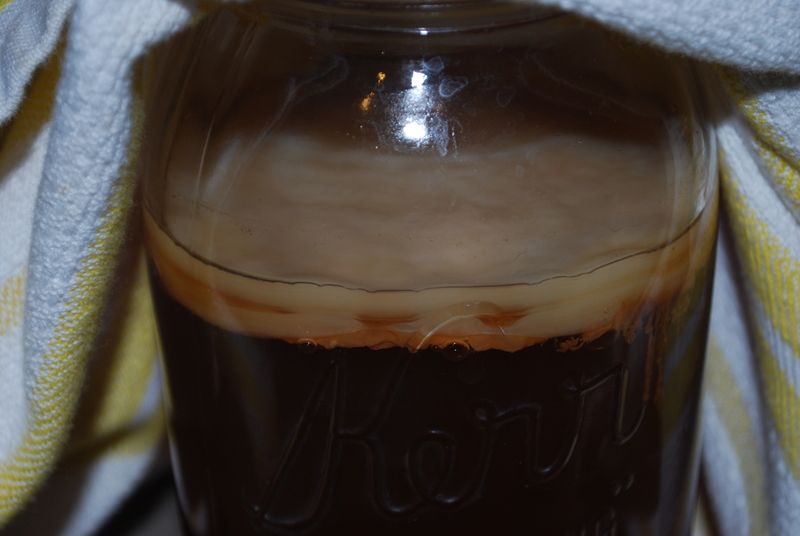 When I came across Food Renegade’s post on How to Grow A Kombucha Scoby, I was intrigued. You could grow your own Scoby (Symbiotic Culture Of Bacteria and Yeast), ‘mushroom’ or ‘mother’ as it’s also called, with only four ingredients. I started mine at the end of October and it grew within a week (thanks to the Texas heat)…I had no idea it could be that easy. Basically, once you have a Scoby, you can keep reusing it to brew continuous batches of Kombucha (it’s the gift that keeps on giving). I found my Kombucha at Sprout’s, and I know Whole Foods, Market Street, Natural Grocers, and other natural health food stores will carry it. *Make sure you keep all hands and utensils clean as this is a live, raw food. 1. Brew one cup of black tea (I use Bigelow) and add 1 Tbsp of Organic Sugar. 2. Once the tea has cooled, mix tea and the bottle of Raw, Organic Kombucha into a glass jar. 3. Cover with a towel and secure with a rubber band, so it can breathe and keep bugs out. 4. Let it sit until the Scoby is about ¼” thick. That’s it! It should look like this after a week or several weeks, depending on the temperature of your house. If it starts to get mold on it, throw it out and start over. Also, if yours isn’t turning out like you hoped, you can buy a culture online from places like Kombucha Kamp, which is the #1 source for all things Kombucha! For Q&As on if your Scoby is growing or not growing, check out Food Renegade’s post to diagnose any problems. Go out there and get your Scoby on! Yay! You are welcome 🙂 Let me know how it goes!